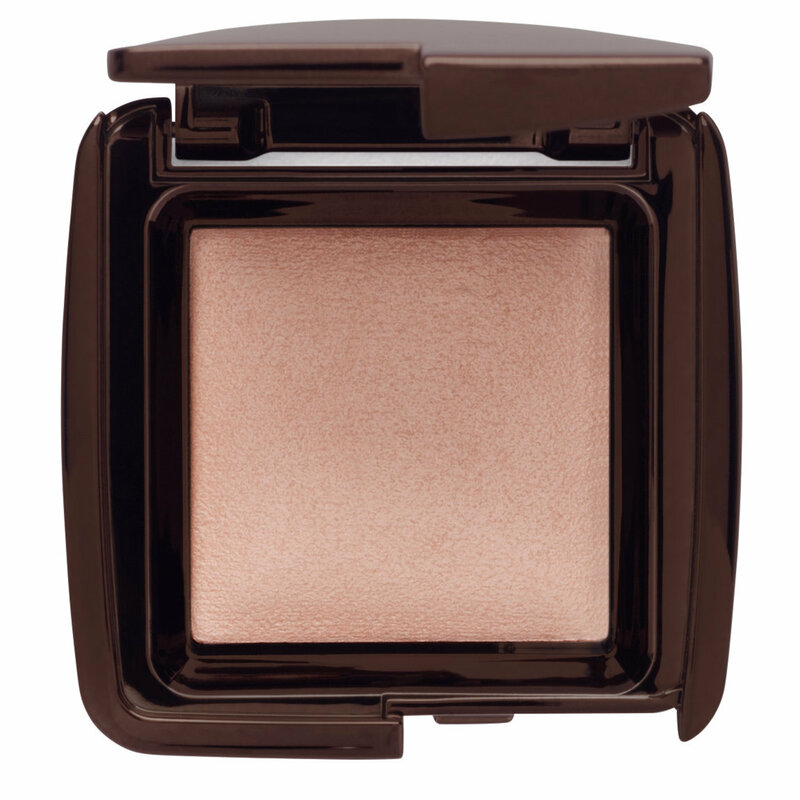 A travel size universal finishing powder that recreates the most exquisitely flattering light. Ambient Light Powder captures, filters, and diffuses surrounding light with groundbreaking Photoluminescent Technology to soften and refine your complexion. Flattering light in a compact. Silky, smooth, and never chalky, Ambient Light Powder mimics the flattering effect of good light—it’s like your own personal lighting team in your pocket. The state-of-the-art formula sets makeup and adds a multidimensional luminescence to skin for a soft-focus “filter” effect. Color-correcting particles capture and diffuse all types of light—even flash photography—to blur the look of blemishes, pores, and wrinkles. Dust powder all over your face to set your makeup and create a flawless, lit-from-within complexion. This travel size is very cute. The texture is fine. I bought it because the description said that it can be used as a finishing powder. But after applying, my face looks really flushed. 😳now I use it as a blush. A bit disappointed as I plan to bring it in my next trip. Absolutely love the whole outlook of the packaging and i love the smooth texture of this product. First time i tried it with only my moisturiser on, it works like magic on my dark spots and wrinkles. Very light on my skin. The whole line is pricey but thank god this baby here is in travel size so this is considerably what i can afford (but still a little pricey for a travel size) and I don't think I could finish the full size anyways. But overall, i love this product! Perfect size and looks beautiful! I bought this because I've always wanted to try it but was concerned it was too much (I tend to be a natural/no makeup type of girl). I used this with my Charlotte Tillbury foundation as a setting powder. I consider my skin light with yellow under tones (towards the darker end of the "light" spectrum). I could see after a swatch that this may be too dark a finsihing powder for very light complexions, but on my skin it was lovely and gave me a beautiful glow to my skin. I was asking all the women in my family what makeup they thought I had on, and everyone thought my skin was bare and just glowing. I own Mood , dim, and ethereal. My very favorite is mood. Another review said she was very fair and that she didn’t recommend the mood for darker skin tones but for me it is gorgeous. I Almost didn’t buy it because of that review but I was so drawn to the mood one the most and I’m so glad I went with my intuition on that one because it’s my favorite . I love to set my face with the hourglass setting powder veil first . I use my Sonia G flat top face powder brush and I buff it in. Then I take mood light and swirrel it on my face with my Wayne Goss airbrush. I but the dim around my forehead near my hair line and my jaw line as well as my cheek contour area and then I take ethereal and put that under my eyes, chin, lower forehead and top of my nose. So beautiful. For reference I have light/medium/tan skin with olive undertones . I am part Native American part Spaniard so my skin tone is very ethnic and then powders look beautiful on my mixed skin. It’s worth a try if it calls to you. I don't see anything happening with this powder. Not with as much as I pack on. I heard this gives the perfect glow all over your face from elsewhere. Did not do that. The only place I can see a glow is if I put it on my lips.